As teachers, we work to deliver the provincial curriculum in a way that is consistent with Catholic values. One of the resources that we provide to all students in Halton Catholic is All About Me; an interactive portfolio tool that supports K-6 students with the inquiry process, self-discovery, and reflection. As of January 2017, we have access to the new Catholic Edition of the program that includes a new My Faith section; inviting students to add daily prayers, reflect on the Sacraments, and explore the Catholic Graduation Expectations. Check out the new additions by logging into your staff account, clicking “Go to Student View” in the top right hand corner, and then clicking Add Box. If you don’t have an All About Me teacher account, please contact support@myBlueprint.ca to get started! The Student Success Team at Halton Catholic works to ensure that every student’s diverse interests, goals, and strengths are supported in and outside of the classroom. One of the programs that we license to support student success, as well as the Individual Pathways Plan and inquiry-based learning, is myBlueprint Education Planner. Built from the ground up for grade 7-12 students, myBlueprint promotes self-discovery and exploration through various features including the Who Am I? surveys. 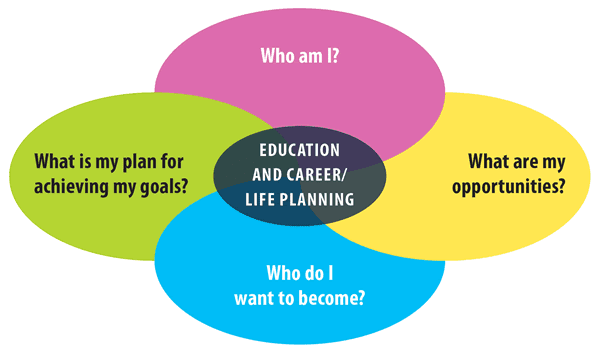 Students can complete six comprehensive assessments (including Learning Styles, Personality, Interests, Knowledge, Motivations, and Compatibility) to learn more about themselves and potential high school courses, post-secondary programs, and career opportunities related to their interests and passions. The interactive design and realistic insight provided by the surveys help students gain self-confidence and sparks their curiosity into planning for the future.